A handicapped Texas man took to Facebook Tuesday to express frustration with a NBC News crew that had blocked the only handicap parking spots at his polling place. James Berrie, who has multiple sclerosis, was driving to the Bayland Community Center for early voting. 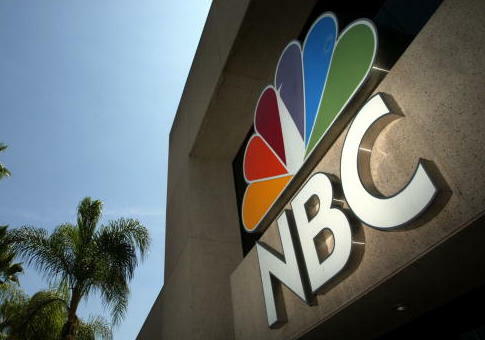 WTSP reports that the NBC crew was set up across two handicap parking spots. Berrie said the crew initially agreed to move, but said they needed a few minutes because the shot was live. Berrie said that he eventually found a parking spot in a back lot far removed from the building entrance, but lowering the ramp to exit his car was difficult without the extra space a handicap spot provides. In a Facebook post, Berrie recounts returning to the handicap spot after voting, and the crew was still just setting up. The crew had claimed the shot was live, preventing them from moving. "We’ll move in like three minutes. We’re going live. We’ve got a shot. We’re going live in like three minutes. We gotta do this," Berrie recounts them saying. The move upset local voters, including Berrie’s wife and firefighters, who walked in the way of the shot to protest. Those protesting stayed in place until the NBC crew packed up its van and left. "This is suppression," Berrie said. "If I couldn’t park I couldn’t vote. Their van had no handicap placards." After his post went viral, Mariana Atencio, the MSNBC correspondent who had stood in the handicap spot, took to Twitter to apologize. "We made the wrong call," she said. Berrie called for media accountability between now and election day. "News will be out in force, now and until the general," he said. "The media needs to be aware. Call them out if you see this." This entry was posted in Issues and tagged 2018 Election, MSNBC, NBC News, Texas. Bookmark the permalink.